The reason for this was related to a failure during my first migration try (the temporary vCSA did not received an IP address via DHCP). In general we have two steps/stages within the Upgrade or Migration process where we end up with a vCenter Server Virtual Appliance (vCSA). 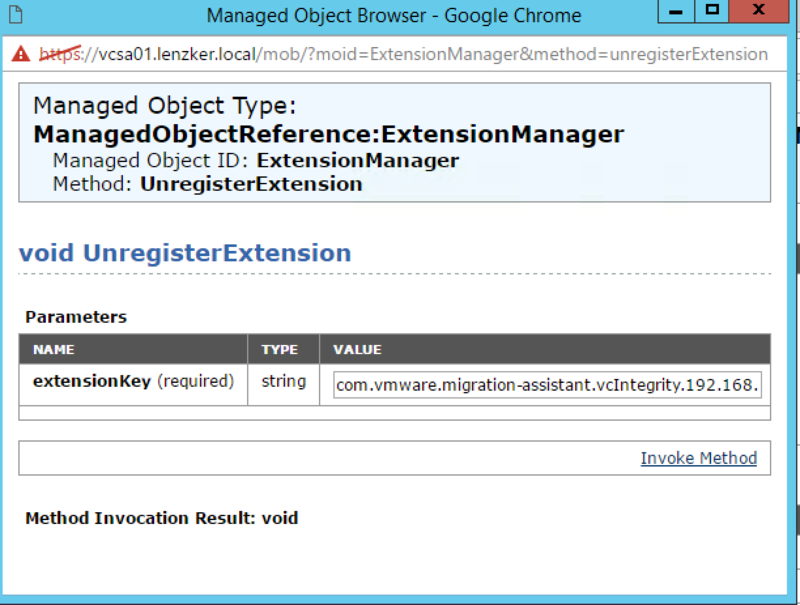 On your Windows based Update Manager mount the vCSA iso file and run the VMware-Migration-Assistant. a new empty vCenter Server Appliance gets created and connected with temporary data (IP/DNS/Subnet) to a network. The original vCenter runs in parallel with the temporary (empty vCenter). The original vCenter gets shut down. 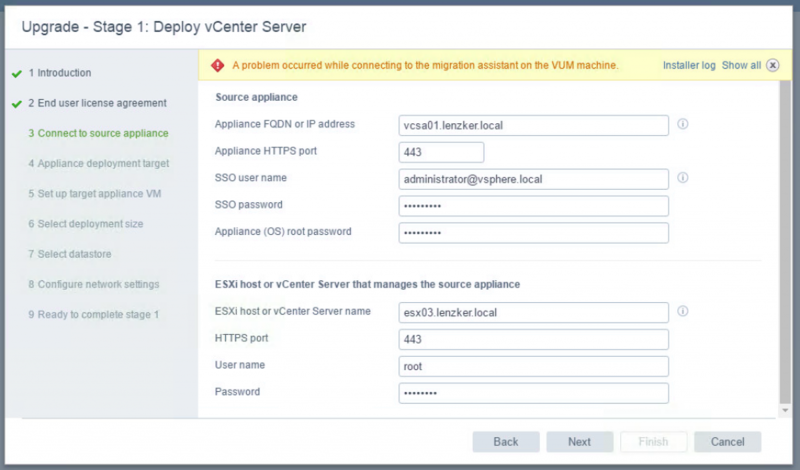 If something failed during one of the processes and you have to start all over again and you might get faced with the above mentioned issue when you add your vCenter, ESXi and SSO information. Verify that the Extension has been removed by refreshing your browser. Redo Stage 1 of the Upgrade/Migration and voila.. you can follow the wizard. 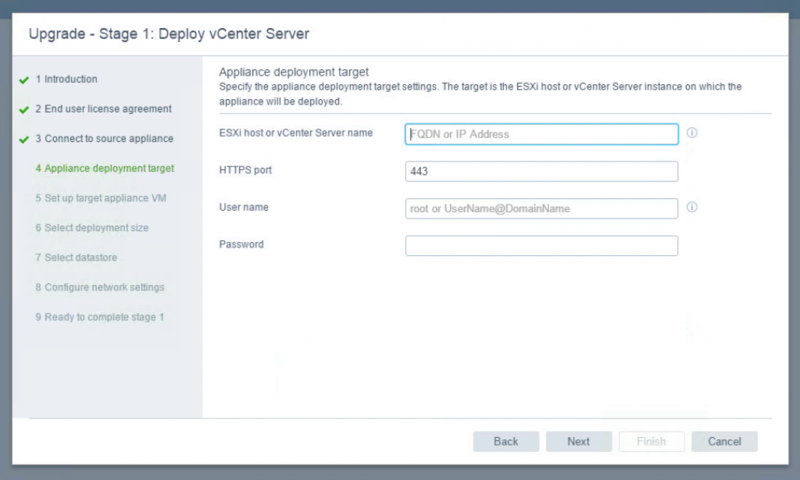 Have fun with the new vCenter 6.5 Appliance. If you use an external Platform Service Controller (PSC) keep in mind that you need to upgrade the PSC first. The relevant steps (with the UI based wizard) are nearly identical. 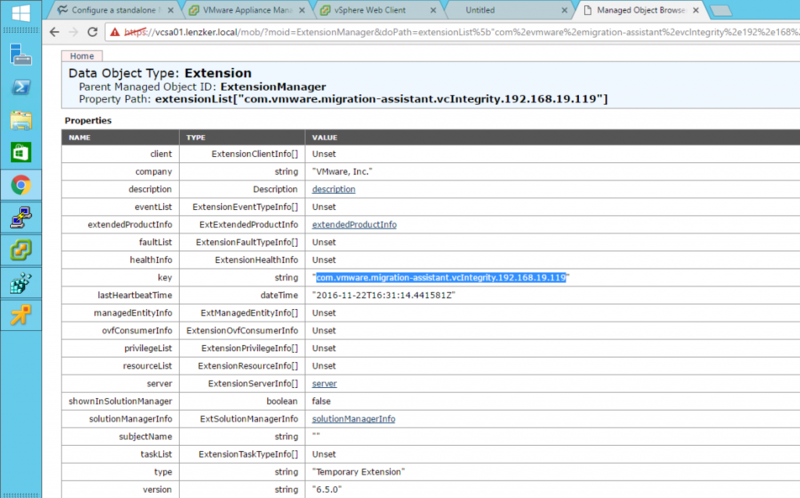 Just connect to the PSC instead of the vCenter. 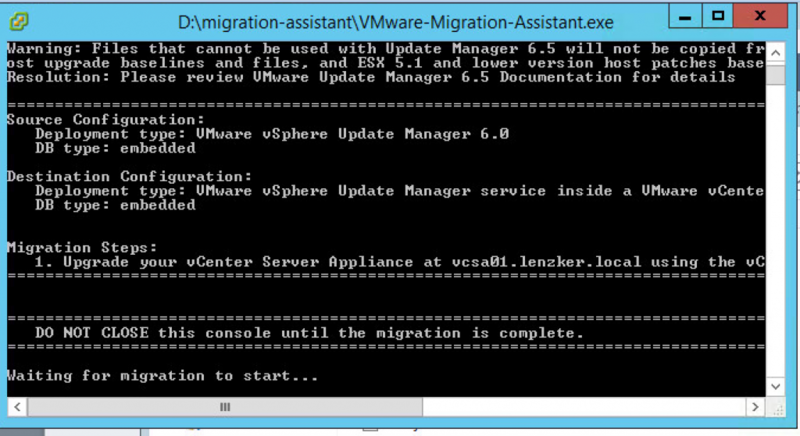 Don’t do this if any of your other components is not ready for vSphere & vCenter 6.5 yet!!! Thank you very much for sharing the solution of this error. I was also facing the same issue while upgrading the vcenter server and i was looking for the solution and now my search is over here . You show me the correct resolution of this error and my problem has been solved . I have successfully upgraded the vcenter server. Thanks once again for sharing .